A cheeky trip up north for this criminally short run of Annie Baker’s Circle Mirror Transformation at Home in Manchester, for a top-notch cast and a director – Bijan Sheibani – who when on form, is one of the country’s best. And here he really is at home in the unfussy naturalism and quiet intimacy of this deceptively striking play. It’s taken a little time to getting round to watching all of The Crown because, in a first for me, I found it impossible to binge-watch the show. Even with Netflix kindly providing offline downloads just at the point where I had a lot of travelling to do, Peter Morgan’s drama was lots of fun to watch but rarely captured the buzzy energy that has accompanied much online programming. Because it many ways it isn’t like much of Netflix’s previous output, it really is an encroachment into BBC Sunday night and as such, I felt it worked best spread out in almost weekly installments. One of the televisual highlights of 2014 was Sally Wainwright’s Happy Valley, anchored by an astonishing central performance from Sarah Lancashire as pragmatic Yorkshire sergeant Catherine Cawood. So the return of a second series on BBC One is good news indeed, especially given Wainwright’s decision to also direct considerably more of the episodes this time round. Thing with resolutions is that it is terribly easy to break them. 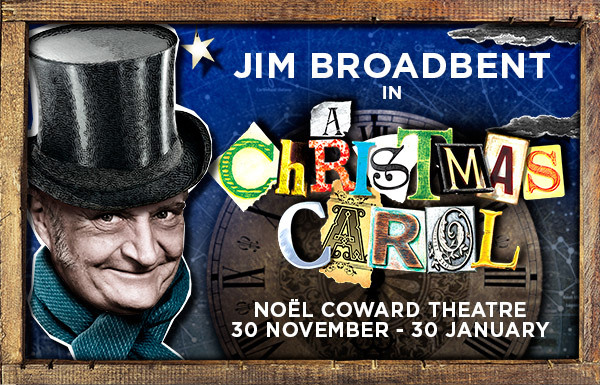 And having resolved to see no Christmas shows this year, Jim Broadbent only went and decided to do A Christmas Carol in the West End. Not having seen him on stage before, I decided to take the plunge just before heading back up north for the 25th and truth be told, I probably should have left it. In one of those curious co-incidences, Mark Shenton’s blog for The Stage today was about the pleasure of re-viewing shows already seen. 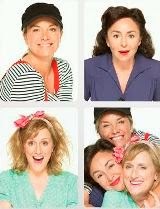 For me, it was a two show day and in both cases, it was the third time I had seen them, albeit in different productions. Part of being a theatre addict is the delicious thrill of being able to revisit plays and get something new from them, as well as being reminded of why I enjoyed it so much, and so it proved with Mike Bartlett’s Bull and Amelia Bullmore’s Di and Viv and Rose. 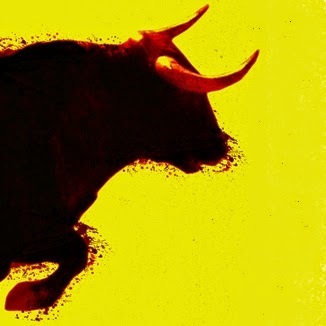 I first saw Bull in a rehearsed reading at the Finborough back in 2010, when I was still in the process of falling hard for Bartlett’s writing, and was then so enthused by the prospect of seeing a full production that we made a trip to Sheffield to see it be wonderfully staged by Clare Lizzimore in the Studio at the Crucible in 2013. (Travelling from London to Sheffield for a show that isn’t even an hour long is proof positive, as if it were ever needed, of the strength of my addiction!) 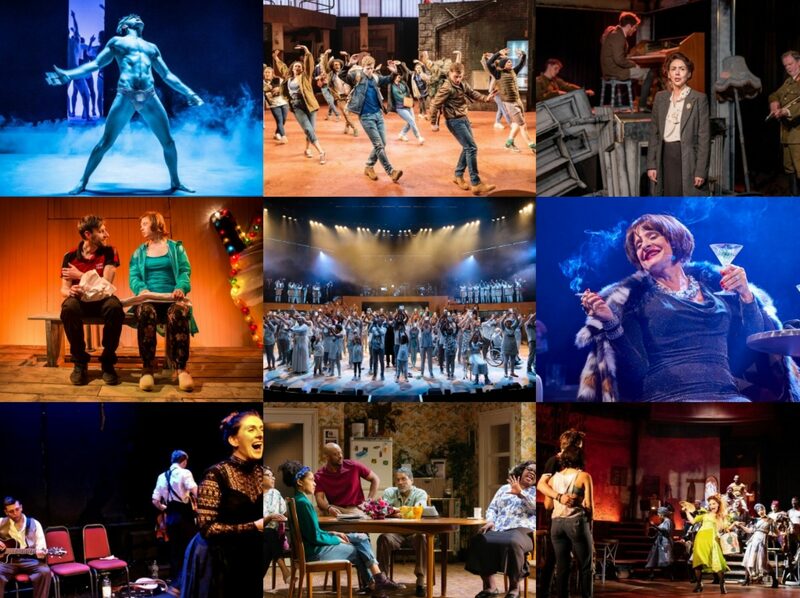 And it is that same production that has belatedly arrived at the Young Vic this year. Typical really, the first series of Scott & Bailey that I actually get to watch live on air and it’s the first one that disappointed me. I caught up quickly with the first three over the last few weeks so that I would be up to speed with Series 4 but all in all, I didn’t feel like it was up to the standard. No real overarching story emerged across the eight episodes and without the heightened drama that would have added, this just felt like a retread of some of the same old plot points.